Your neck supports the weight and movement of your head - quite a job, since an adult's head can weigh between 4.5 - 6.3kgs! It also contains the vast majority of nerves that reach from your brain to the rest of your body, like a pipe full of fiber optic cable. With the amount of driving, computer work and TV watching that most of us do, it's not surprising that we may need a little chiropractic to help keep our necks doing their job properly. Most people do not realize how much they move their neck during the day until they are unable to do so. The degree of flexibility of the neck, coupled with the weight of the head, means that the neck is very susceptible to injury. 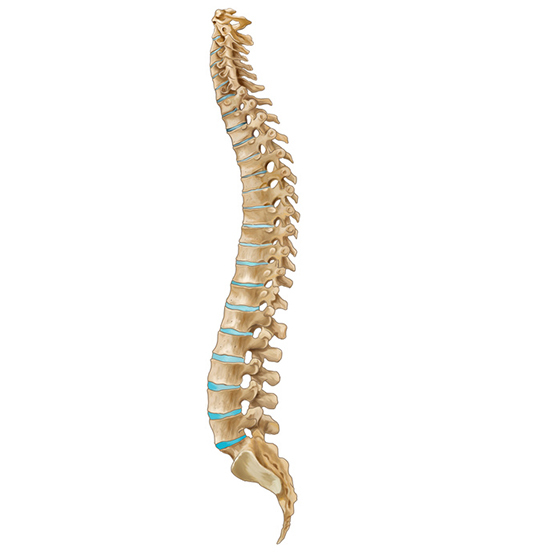 You can picture your neck and head much like a bowling ball being held on top of a stick by small, thin, elastic bands. It doesn’t take much force to disrupt that delicate balance. Upper back pain is caused by a combination of factors, including injury, poor posture, chiropractic subluxations, stress, and in some instances, disc problems. By far, the most common injury to the neck is a whiplash injury. Whiplash is caused by a sudden movement of the head, backward, forward, or sideways, that results in the damage to the supporting muscles, ligaments and other connective tissues in the neck and upper back. Subluxations in the neck and upper back area are extremely common due to the high degree of stress associated with holding up your head, coupled with the high degree of instability in the cervical spine. Most subluxations tend to be centered around four areas: the top of the cervical spine where it meets the skull; in the middle of the cervical spine where the mechanical stress from the head is the greatest; in the transition where the cervical and thoracic areas of the spine meet; and in the middle of the thoracic spine where the mechanical stress from the weight of the upper body is greatest. Signs of subluxation include looking in the mirror and seeing your head tilted or one shoulder higher than the other. Often women will notice that their sleeve length is different or that a necklace is hanging off center. If someone looks at you from the side they may notice that your head sits forward from your shoulders. This is known as FHP - forward head posture - and is very common for people who are stooped over their computers all day long. Subluxations are a debt to the body. If they are not taken care of soon after they occur, then they can get much worse over time. When most people become stressed, they unconsciously contract their muscles, in particular, the muscles in their back. This ‘muscle guarding’ is a survival response designed to guard against injury and muscle guarding may occur whenever we become emotionally stressed. The areas most affected involve the muscles of the neck, upper back and low back. For most of us, the particular muscle affected by stress is the trapezius muscle, where daily stress usually leads to chronic tightness and the development of trigger points. Is it Safe to Adjust the Neck? Yes, 66-69% of visits to a chiropractor include cervical (neck) adjustments. Recent publications suggest that chiropractic treatment is extremely safe, when carried out by a skilled individual. Is rolling your head good for your neck? No. Many people in the past have been given neck or head rolling exercises to help stretch their necks. As mentioned in the beginning the weight of the head is substantial so rolling the neck forward places more strain on the joints, ligaments and tendons in your neck then contracting muscles to roll the head backwards puts pressure down on these structures which you have just strained. Better and safer movements to do would be single ones like turning or looking up, down, left or right - not all of these movements together. Keep the object close to your body. Your hips and legs absorb most of the weight, and you will put less strain on your back and neck. The feet should be positioned shoulder-width apart, with one foot slightly ahead of the other. In addition, you may find that placing one foot forward and one foot back may be easier than trying to lift an object from the "squatting" position.